The judges selected the wedding photograph above – "The Anonymouse Bride" –for their Fearless Award. 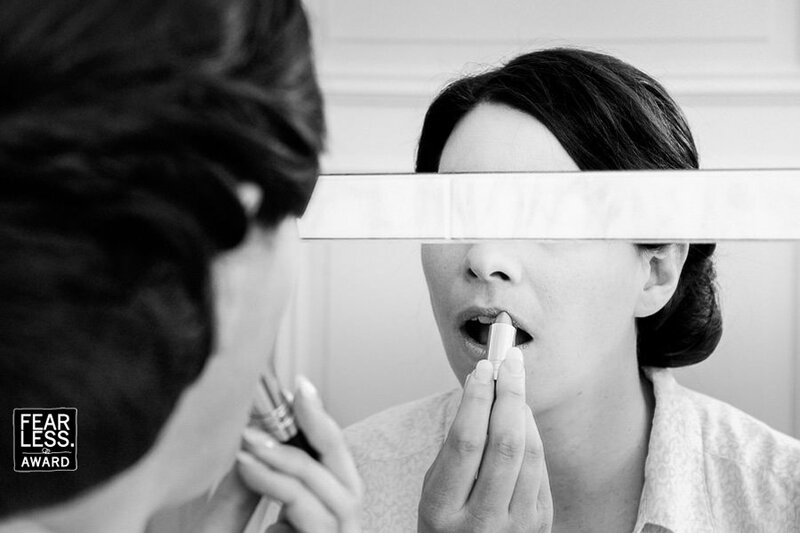 The bride put on her make-up and the mirror was in two parts. The mystique was increased by photographing in an angle that covered her eyes. Image by wedding and portrait photographer John Hellstrom from Stockholm, Sweden. Contact John here.